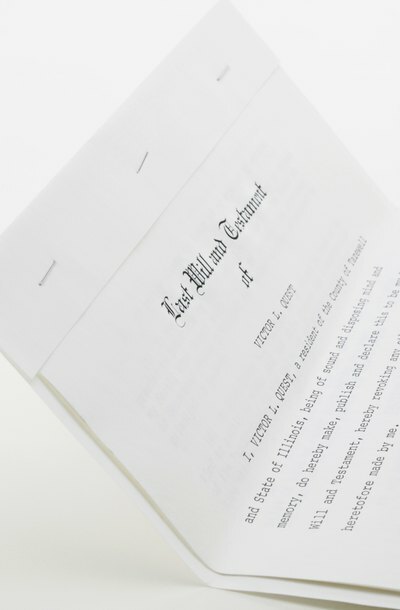 After a person passes away, the person named as executor in the will or a family member must admit the will to the district court in the county where the decedent lived. This person submits the will with a petition that allows the judge to admit the will into probate and appoint an executor to handle the financial affairs, including debt payment and asset distribution. Unless the will is "self-proved," a witness must attest to the validity of the will in court. A "self-proved" will is one that was signed by the decedent before two witnesses. In cases of a holographic will -- or a will written in the decedent's handwriting -- it may be validated by a witness who is familiar with the decedent's handwriting. After the district court has admitted or rejected the will for probate, an interested party has two years to contest the decision. The court will allow contests only from parties that have standing in the case, meaning that the party has a real interest in the outcome of the decision. For example, a person may have standing if he would collect under a previous will but not the will that was submitted to court. Similarly, parties have two years to seek clarification on the interpretation of the will. In order to contest a will in Kentucky, you must file a petition in circuit court, as opposed to the original county district court. Additionally, you must file a notice with the county clerk where the district court originally admitted the will. The notice must include the name of the deceased, the court where petition was filed, the case number, the nature of the petition and the date. The notice must be signed, and in some counties you must include a fee. Although Kentucky gives petitioners up to two years to contest a will, you must act more quickly to prevent the executor from distributing assets under the will. In order to prevent the appointment of an executor, you must file your petition in circuit court within 12 months from when the will was admitted. If the executor was already appointed, you may prevent him from paying debts, dividing the estate or distributing assets under the contested will. You must also file a notice of the will contest with the original county court that approved the will.